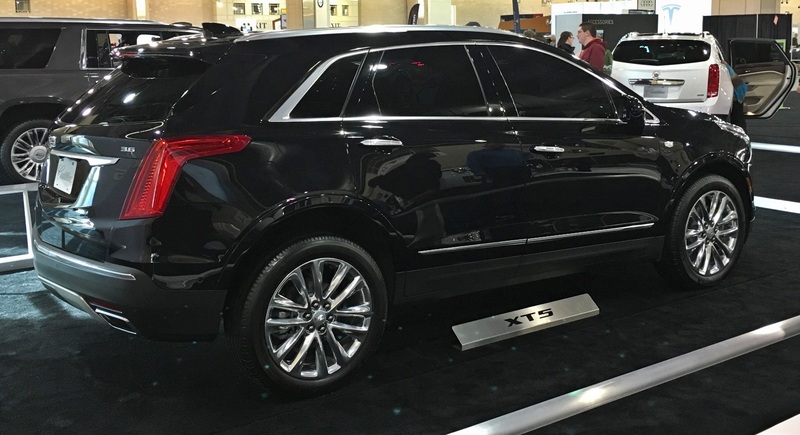 Cadillac XT5 is one of the most sophisticated and refined crossovers from the house of General Motors. The luxury SUV features exceptional versatility that makes it the owner’s pride and neighbours envy. Engineered to offer superlative comfort, the crossover features handcrafted interiors, tastefully done with premium finishing materials and cutting-edge electronics. If, however, the hallmark of automotive technology does not fit in your budget, you can always buy a pre-owned model from a trusted car auction website such as AutoBidMaster.com. Read on to find out all that’s in store, when you buy the Cadillac XT5. Cadillac XT5 has a powerful 3.6L V6 engine rated at 310 hp and 271 lb-ft of torque, when paired with an Electronic Precision Shift that moves you from Park to Drive in a simple gesture. You can choose from the three available driver modes – Touring, Snow, and Sport. The Cadillac’s interior is carefully designed with authentic materials like natural woods, cut-and-sewn leather and suedes, and aluminum and carbon fiber accents. The leather-wrapped steering wheel offers power tilt, telescoping and available heating to enhance your drive. The available UltraView® Power Sunroof spans both seating rows, providing every passenger a clear view of the sky. The exterior features such as a signature grille and crest makes a bold statement on the road. Other exterior features such as LED Cornering Lamps, 20-inch alloy wheels, Illuminating Door Handles, and a Hands-Free Liftgate only add to the grace of this work of art vehicle. Active Fuel Management – Automatically turns off half of the cylinders under light load conditions for efficient fuel usage. Real-Time Damping – Adjusts the suspension to road and driving conditions for a more precise and comfortable ride. Stabilitrak – Automatically applies brake pressure and reduces engine torque during low-traction conditions like rain, snow, or gravel, to keep you on track and in control. Lane Keep Assist – Safety features such as Lane Keep Assist with Lane Departure Warning helps you stay in your driving lane. Safety Alert Seat – The available Safety Alert Seat sends a discrete pulse to the left, right or both sides of the driver’s seat, indicating the direction of potential danger. Rear Cross Traffic Alert – Monitors left or right cross traffic behind you and warns of potential hazards to either side of your vehicle. Surround Vision – Provides a bird’s-eye view of the area immediately surrounding the vehicle when in low-speed Drive or Reverse. Front Pedestrian Braking – Scans the road ahead and alerts you, or may brake automatically if needed. Can’t Wait to Bring the XT5 Home? Buying a luxury car doesn’t have to cost a fortune. If you have your heart set on Cadillac XT5 or been looking to bring home any other luxury car but are restricted by your budget, make the dream come true at AutoBidMaster.com, one of the most trusted car auction websites in the US. Participate in our salvage car auction online and bring home your dream car at an affordable price. If you have any questions or concerns, fill out our contact form, or simply call +1 (503) 298-4300.